We are a family owned and operated company with deep roots in Big Sky. RMS specializes in managing Homeowners Associations and gives specialized attention to private homes and vacation properties within in the Big Sky area. Whether you are "up the Mountain" or "in the Canyon" RMS will treat your properties with the utmost care, diligence, and our honest approach to managing your Big Sky retreat or main residence. Our current clients comment daily on how much we care and know our properties inside and out. RMS will always contact the property owner to get approval for all non-emergency situations and if an "emergency" situation arises will keep the absentee owner apprised of each step we take in correcting the situation. We save our homeowners, condominium associations, and property owners money by staying on top of things within and around the property and finding the best subcontractors for any jobs that RMS cannot handle. We work with the best subcontractors in our area who carry our ideals: honest and trustworthy, while providing quality and affordable services for our area. Please click on the links to the left for further information on services offered by RMS. Your Private Homes, Vacation Rentals, and Homeowners Associations are securely maintained through Kristen and Ed along with their capable and well trained management team. 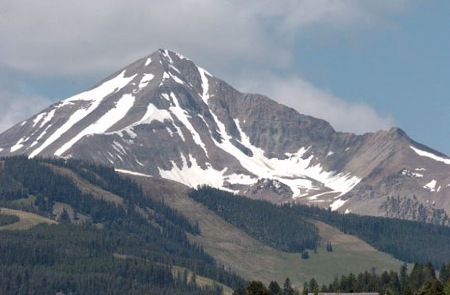 Interested in Big Sky's finest vacation rentals by owner? Please view more information at the Rentals By Owner link. Interested in receiving a quote or signing on with Ramirez Management Services? Give Kristen a call at (406) 995-4128 or e-mail her at ramirez@ramirezmanagement.net, she will be happy to speak with you, create a proposal that fits your needs, and of course answer any questions about the services offered. Select references of current clients are provided upon request.